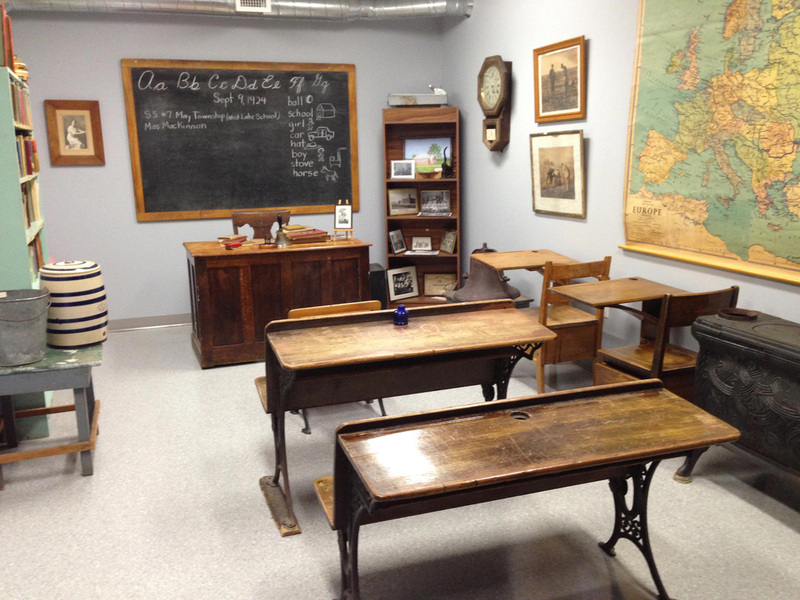 the one room school house. Students were responsible for filling the water crock, which is what they used to store their drinking water. This meant trips to the well in the morning, and again in the afternoon. They were also responsible for keeping the fire burning, so another of their duties was to carry in the firewood. 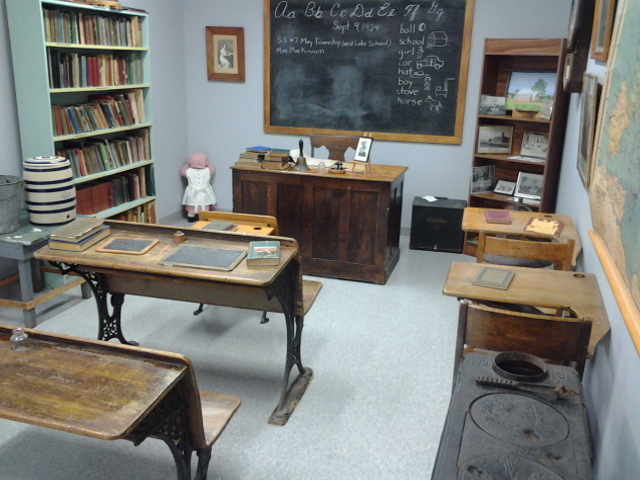 You’ll see different types of desks used over the years along with several different maps, pictures and books all used by the teacher (who, by the way wasn’t allowed to marry). transport goods to the store in Spanish and when needed that same truck/bus also served as a hearse.